JF-17 Thunders participated in thier first aero display in European skies in Izmir, Turkey on 100th annivarsary celebrations of Turkish Airforce. This event marks JF-17's third participation in an airshow. The fighter aircraft has previously participated in Farnborough(statis display only) and Zhuhai airshow. The aircrafts were all set to participate in the Paris airshow but pulled out due to security reasons. Pakistan Airforce also brought in F-16 for another solo display. Some of the videos and images are posted below. I will update this post over the comming week and add more pictures and videos. If you have any specific content in mind, feel free to contact me. For Videos and Images , continue reading. JF-17s are schduled to perform from 2:37 PM to 2:50 PM local Turkish time. We will continue to update this post as mor information arrives. 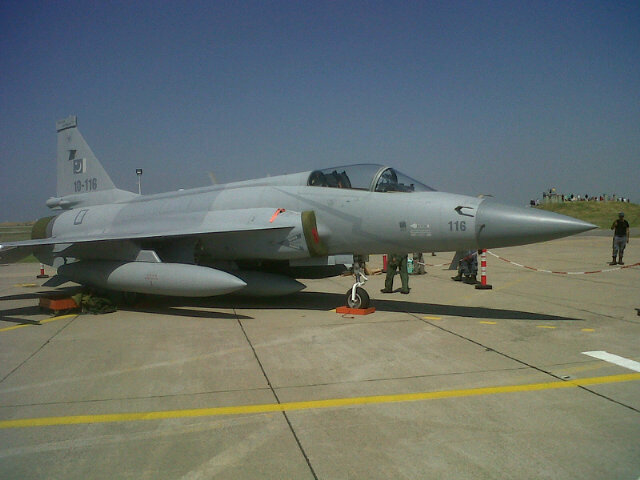 PAF had earlier confirmed that three JF-17s will be participating in the airshow being held in Turkey. Jf-17s last trip to Europe was in in Farnborough Airshow held in 2010. However the planes were only on static display. At the end of 2010, JF-17s performed at Zhuhai Airshow in China. This will be JF-17's first air display in Europe. Pakistan's aerobatics team 'Sherdils' (Lion Hearts) were also scheduled to be present at the Izmir airshow. However, the performance was cancelled just few days ago. 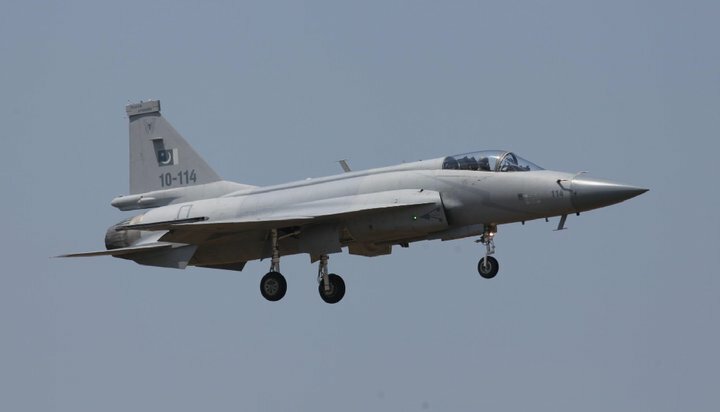 Its the best fighter jet no comparison of this jet with any other in terms of manover and cost, specification is equal to mirage 2000 and F-16,,,,,,,,,,,,,,,,, we are proud on Pakistan and China. A beautiful vidio about JF-17 thunder. awesome…..PAK air force spreading its wings! Pakistan and China has produced a hell of a fighter. armed with Raad air launch cruse missile, J f 17 Thunder and Pakistani pilots makes a killing combination. After all its man behind the machine that counts. WELL DONE, PAK CHINA FRIENDSHIP ZINDABAD.